1966 - B.Sc., in Mechanical Engineering, Technion - I.I.T. 1972 - M.Sc. 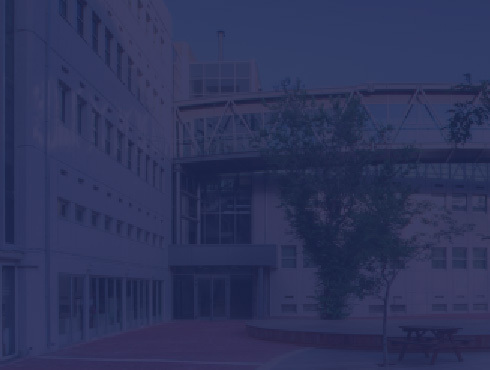 in Mechanical Engineering, Technion - I.I.T. Control of systems with dead times and uncertainties. Robust control via Liapunov Techniques. Application of control theory to process control. Multirate sampled - Data control systems. Application of control to mechanical systems. Z.J. Palmor and Y. Halevi, "Robustness properties of sampled-data systems with dead-time compensators", Automatica, 26, 3, 637-640, (1990). E. Cheres, Z.J. Palmor and S. Gutman, "Design of input matrices of stabilizing controllers for uncertain systems", Int. J. Systems Sci., 22, 4, 735-742, (1991). Z.J. Palmor, Y. Halevi and T. Efrati, "Limit cycles in decentralized relay systems", Int. J. of Control, 56, 4, 755-765, (1992). Z.J. Palmor, Y. Halevi and T. Efrati, "Determination of limit cycles in decentralized relay systems via the Z-transform", In Fundamentals of Discrete-Time Systems, H. Jamshidi, M. Mansour, B.D.O. Anderson and N.K. Bose (Ed. ), TSI Press, New Mexico, USA, pp. 383-391, (1993). Z.J. Palmor and M. Blau, "An auto-tuner for Smith dead-time compensator", Int. J. of Control, 60, 1, 117-135, (1994). J. Tuch, A. Feuer and Z.J. Palmor, "Time delay estimation in continuous linear time invariant systems", IEEE Transactions on AC, 39, 4, 823-827, (1994). Z.J. Palmor, Y. Halevi and Z. Rom, "Multirate output control for SISO non-minimum phase systems", Industrial and Engineering Chemistry-Research, 33, 3196-3201 , (1994). Z.J. Palmor, Y. Halevi and T. Efrati, "A general and exact method for determining limit cycles in decentralized relay systems", Automatica, 31, 9, 1333-1339, (1995). Z.J. Palmor, Y. Halevi and N. Krasney, "Automatic tuning of decentralized PID controllers for TITO processes", Automatica, 31, 7, 1001-1010, (1995). N. Sharav - Schapiro, Z.J. Palmor and A. Steinberg, "Robust OUTPUT Stabilizing Control for Discrete Uncertain SISO Systems", IEEE Transactions on AC, 41, 9, 1377-1381, (1996). Z.J. Palmor, "Time-Delay Compensation", Invited Chapter, The Control Handbook, Editor S. Levine, CRC Press and IEEE Press, 224-237, (1996). N. Sharav - Schapiro, Z.J. Palmor and A. Steinberg, "Discrete Positive Realness of the Min-Max Control Law", Journal Of Dynamics and Control, 7, 133-142, (1997). 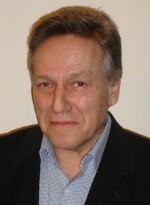 Y. Halevi, Z.J. Palmor and T. Efrati, "Automatic Tuning of Decentralized PID Controllers for MIMO Processes", J. Process Control, 7, 2, 119-128, (1997). N. Sharav - Schapiro, Z.J. Palmor and A. Steinberg, "Solvability Criterion for the Constrained Discrete Lyapunov and Riccati Equations", Journal of Optimization Theory and Applications, 92, 1, 149-160, (1997). L. Mirkin and Z.J. Palmor, "Mixed Discrete/Continuous Specifications in Sampled - Data H2 Optimal Control", Automatica, 33, 11, 1997-2014, (1997). N. Sharav - Schapiro, Z.J. Palmor and A. Steinberg, "Output Stabilizing Robust Control for Discrete Uncertain Systems", Automatica, 34, 6, 731-739, (1998). L. Mirkin and Z.J. Palmor, "A New Representation of the Parameters of Lifted Systems", IEEE Transactions on AC, 44, no. 4, pp. 833-840 (1999). L. Mirkin, H. Rotstein and Z.J. Palmor, "H2 and H∞ Design of Sampled - Data Systems Using Lifting. Part I: General Framework and Solutions", SIAM Journal of Control and Optimization, 38, no. 1, pp. 175-196 (1999).